The action took place without permission. 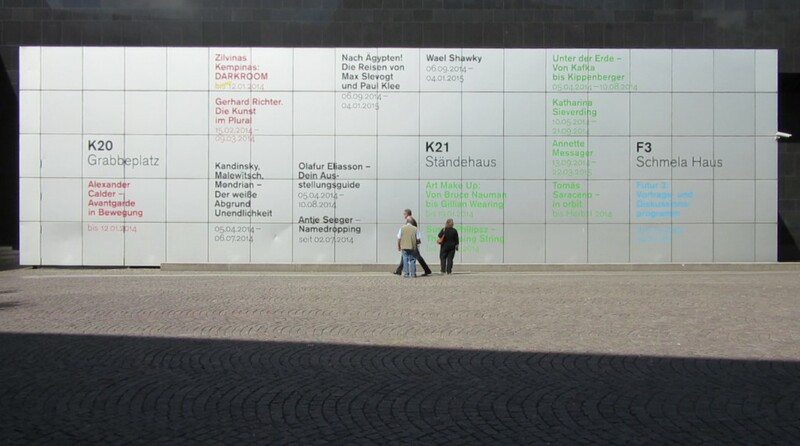 The exhibition program of the art collection of North Rhine-Westphalia on the front of the museum K20 in Düsseldorf. Only well-known artists‘ names and their exhibition titles are written there in big letters. On 2 July, 2014, the artist smuggled her name between all the celebrities, like Richter, Malewitsch, Calder, Eliasson or Kippenberger.